← Can You Drink Rain Water? Why Does My Well Water Stink? Private well users often find themselves complaining of a rotten egg or musty smell in their water. If this sounds like you, it sounds like you have a well water bacteria problem. When well water smells bad, the most common culprit is sulfur, which is what gives water the tell-tale rotten egg stench. However, other types of bacteria can also cause smelly well water. Continue reading to learn what might be stinking up your well water, and most importantly, what you can do about it! Smelly well water basically means there is some form of bacterial presence, whether odor-causing or disease-causing. Most odor-producing bacteria, also known as “iron” or “sulfur-reducing” bacteria, comes from the underground soil and aquifer. There, it poses no problems; however, if exposed to a well, this type of bacteria will begin to multiply quickly. As it does, the odors become more and more evident. It is important to take note that the presence of odor-causing bacteria can potentially mean there are disease-causing bacteria present too. A sudden change in water quality, coupled with rotten egg odors, are strong indications that you have disease-causing bacteria and odor-causing bacteria in your private well. When you notice rotten egg or musty smells in your well water, do not automatically assume that there are disease-causing bacteria presence. You should only be concerned about disease-causing bacteria if you have noticed a sudden change in water quality along with foul odors. In this case, you would need to have your water immediately tested through a certified lab to ensure there is not a health risk. On the other hand, if you just have smelly well water problems, there are some effective remedies that will help alleviate or eliminate them. The first step is to disinfect your well. This is usually implemented by using a process called shock chlorination. To do this properly, you will need to determine the exact measurements of chlorine you will need in comparison to your well size and depth. It is wise to hire a professional water quality specialist to do this for you. They can test your well water, provide professional recommendations, and implement any services needed to resolve your well water issues. 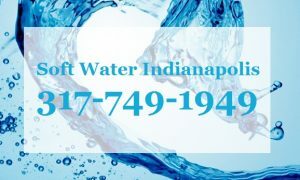 Call Soft Water Indianapolis by Weilhammer Plumbing at 317-749-0949 for professional well water iron filtration service you can trust. Our master plumbers offer affordable and effective solutions for homes and businesses that use private wells. With our drinking water systems, you can enjoy fresh, clean water all year long! Call 317-749-0949 to request a free estimate, today. This entry was posted in Water Filtration and tagged Indianapolis Well Water Filtration, smelly well water, water smells bad, well water odors, well water smells. Bookmark the permalink. What are the National Primary Drinking Water Regulations?